William was born on October 14th, 1908. 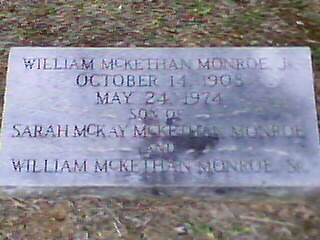 William's father was William McKethan Monroe Sr and his mother was Sarah McKay McKethan. He was an only child. He died at the age of 65 on May 24th, 1974.